Open: 1st February 2016 until 30th April 2016 (Numbers are capped. Extenuating circumstances will be considered). $20 per person (Parkes IBA Inaugural Muster registration fee). Send your payment to IBA Australia through PayPal: contact@ibaaustralia.com (this payment is separate to your IBA Certification payment). Parkes Services Club, 9-17 Short St Parkes New South Wales 2870. Phone 02 6862 1966. Witnessing of IBA forms is available from the registration table from 12:00hrs at the Parkes Services Club if needed. All items pre-ordered will be available for pickup on the day. IBA Australia Limited Edition “Black Label” Caps, Australian IBA stickers and patches will be available for sale on the day however, shirts have to be pre-ordered and pre-paid for as part of your registration. Cash only will be accepted on the day for all IBA purchases. Attendance at the presentation/workshops is optional. The venue allows flexibility allowing attendees to relax and enjoy the evening without attending the presentation/workshops. Meals and refreshments are available from the club at your own cost. Only IBA members (must have IBA number) are eligible to participate in this inaugural ride. An IBA ride (as per IBA rules) must be completed on the 2nd July 2016 at Parkes NSW. 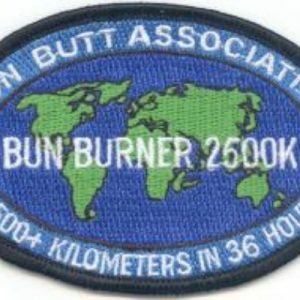 An Inaugural, ‘one off’ IBA Certificate, Patch (SS1600K) will be available to IBA members that successfully complete their IBA ride at Parkes NSW. * No refund will be given for non-attendance for any reason or unsuccessful completion of the ride. 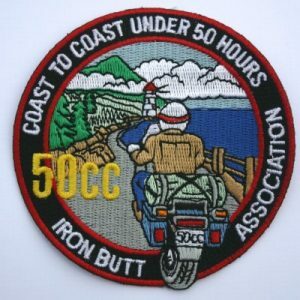 This is due to costs associated with pre-registering the IBA ride, printing, and production of patches specific to this ride (only the SS1600K Inaugural patch will be issued with the certificate). Riders should submit their planned ride paperwork, including the application by email no less than 14 days before the event (see below) and a google map created on www.maps.google.com (not on some other url); or a map quest map or bing map that is not password protected. (Some riders prepare maps on mygooglemaps, and these are difficult to open). Riders should also submit payment verification by attaching the paypal confirmation (not just the confirmation number, and not a message saying ‘please invoice me’). 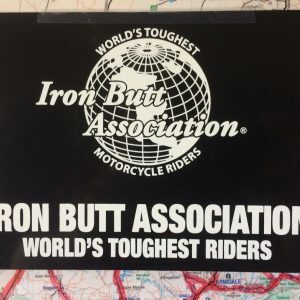 Upon arriving at the event, the rider should put their fuel receipts in an envelope (clearly marked with their name and IBA No) and give it to one of the certificate staff members immediately upon arrival. Here’s the important stuff:……….. If the email with the proposed routing is incomplete, or if it arrives late, or if payment is not included, or if other stuff gets messed up, then there is a chance that the rider will not get a certificate. Your application must be submitted (emailed) no later than 18th June 2016 and contain all the following information as described below. 5. Are you an IBA member? 18. ANYTHING ELSE WE SHOULD KNOW ABOUT YOUR RIDE? I certify that the statements in this application for certification are true to the best of my knowledge and belief.